The flag of Costa Rica is composed of five horizontal stripes of blue, white, red, white, and blue colors in the ratio 1: 1: 2: 1: 1. On the left side of the red stripe, a national coat of arms from 1848 is placed, though it was redesigned in 1906. 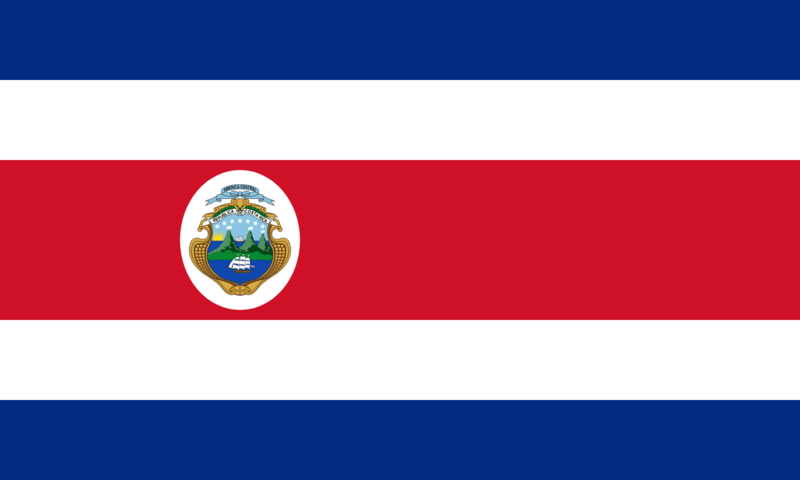 The emblem consists of an image of three Costa Rican volcanoes surrounded by the Caribbean Sea and the Pacific Ocean on whose surface a sailboat sails. Moreover, the sun rises above the volcanoes and it dominates the sky along with seven five-pointed stars, which represent the seven provinces of Costa Rica. 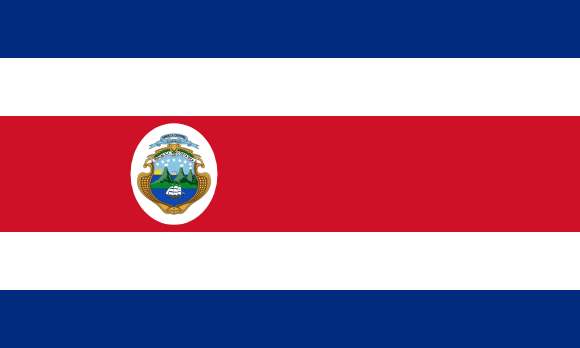 The coat of arms also contains two inscriptions - REPUBLICA DE COSTA RICA and CENTRAL AMERICA. The red stripe was added on the flag in 1848 - since that time the flag resembles the French tricolor and thus indirectly celebrates the French Revolution.